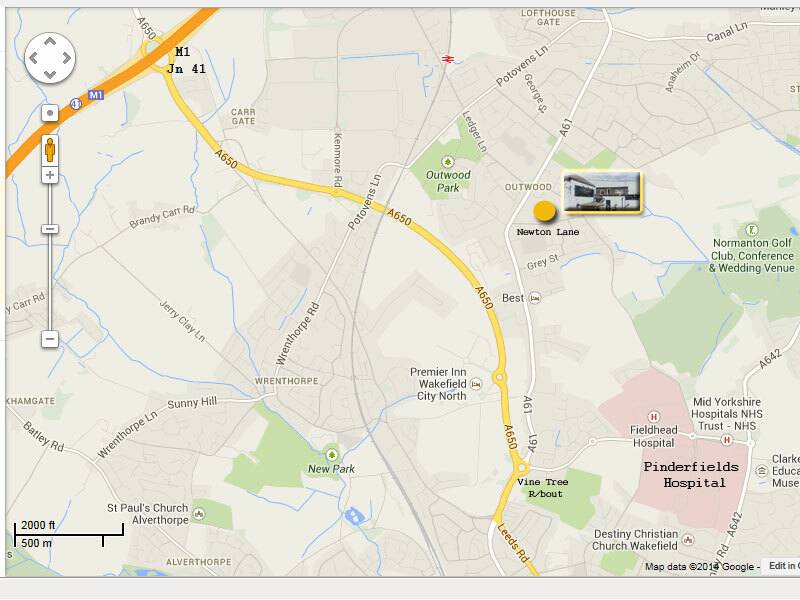 We are located just off the main Leeds Road ( A61) out of wakefield. From Wakefield centre head towards Leeds using the main Leeds Road (A61) – Past the Vine Tree A61/A650 roundabout. – Continue towards Leeds ( A61) for about 1 mile, You will pass the Victoria Pub on the left hand side – the main road will curve slightly to the right – Indicate and take the Next Right turn, just before ‘Chantry Vets’, we are now just 100 yards on the left hand side. Car parking is available.